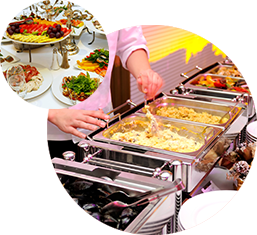 Big City Gourmet is a full service event planning and Offering Corporate Catering Services in Richmond Hill, Markham and Greater Toronto Area. We specialize in custom designed events including weddings, corporate functions, BBQ Events, Open Houses, Cocktail Receptions, Bar Mitzvahs, Theme Parties, and much more. We provide high quality cuisine and professional service. We pride ourselves in understanding current food trends and our ability to be on the cutting edge of exciting new culinary styles. We offer a variety of delectable food at a surprisingly moderate price.